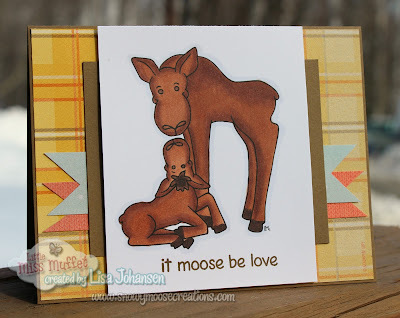 It's time for a new Anything Goes Challenge at Little Miss Muffet Stamps and this week I'm using one of my favorite LMMS images, Moose Love, which is a mama moose with her calf. Here in Alaska I've been seeing moose just about everyday and I recently had one in my yard that I think may have been pregnant, her belly looked awfully full. Moose give birth in mid May to early June, so it won't be long before little ones are spotted! I used last weeks Freshly Made Sketches sketch for my card. The DSP is retired SU autumn paper but I really liked the colors and thought they worked well with the colors of the moose. 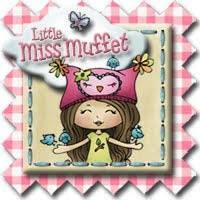 Very sweet Lisa. I love the CAS layout and pretty coloring.